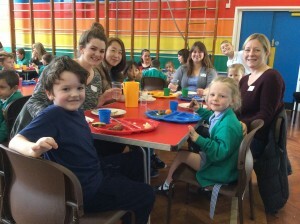 Our school opened its doors to Mums, Grandparents and Aunties on Wednesday 14th October for a special ‘Ladies’ Lunch’ event. Catering Manager Theresa Topping and her colleagues created a wonderful Roast Turkey lunch with all the trimmings for the occasion for family members to share with their children. 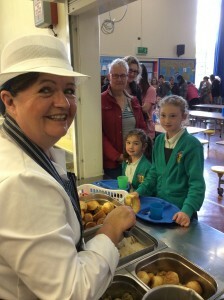 The School regularly holds ‘special’ lunches including Teddy Bears Picnics, Grandparents Lunches as well as the all-important festive lunch at Christmas!